I've always been fascinated by miniature plants but most miniatures that I planted were soon swallowed up by the bigger, stronger "regular sized" plants around them. I realized that to be successful, the miniature plants would need their own garden space. The garden space I finally dedicated to just miniature plants is a cut out built into the patio, on the north (back) side of my house. It's approximately three feet wide and five feet long. Since it is on the north side, I can only grow shade-loving miniatures, but that's okay, and better than no miniature garden at all. In the picture above the hosta that is blooming is 'Baby Bunting'. The relatively tall scapes of pink flowers on the left are from three Heuchera 'Petite Pearl Fairy' plants, currently the giants of this garden. 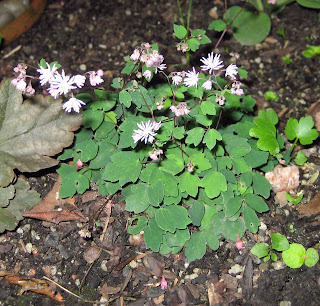 Below is a close up of Thalictrum kinsianum, Kyusbu Meadow Rue, which is also on the left in the picture above. In the center, there's a fairy door and a little sun dial. I hope the garden fairies like this garden, because I like to think it is as much for them as it is for me. This is adorable! How big is the space? These tiny plants make it look very large. The hosta is my favorite. Gina... I updated the post with the dimensions of the flower bed, it is about 3' x 5'. I'm always on the look out for new miniature shade-loving plants, if you know of any. I expect I have a mini hosta. I really haven't thought about it, but doesn't get big like the other Hosta's have. I adore it. Your mini's look so cute. How samll does a plant have to be to be a mini? Love your mini garden. Not sure if you want annuals, but impatiens might be a possibility for a splash of color. I love hostas and impatiens together. I also love the tiny white flower on the lily-of-the-valley. I'm sure the fairies will love it! Such a nice idea to have a special area for the "little" plants. Love the miniature garden. I've just discovered meadowrue on another site and really like it. I just planted a Thalictrum delavayi. I didn't realize that they grow so tall. I do like the ones you have as they look to be a more reasonable size though it may just be the foreshortening caused by the camera. 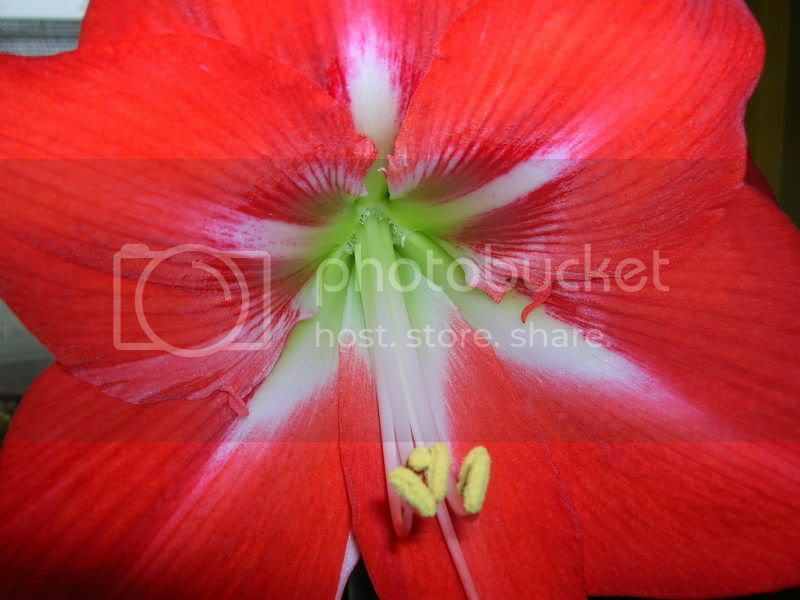 How tall are the flower heads? I have a little fairy garden, too! And how coincidental that I just moved my 'Baby Bunting' this afternoon. It was getting crowded out by the big boys. Curtis... I prefer plants under six inches tall for this garden. Robin... Actually, most impatiens would be too big, except maybe those little firefly impatiens. And I'm skipping the lily of the valley because they would spread too much, though the garden fairies might like them. 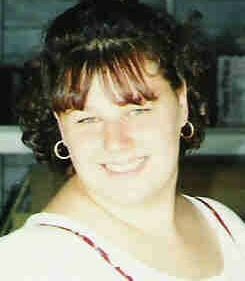 Ruth... Thanks for the nice comment! Colleen...I highly recommend a garden for miniature plants. And did I mention how easy it is to weed such a small space? Eleanor... the garden fairies will have to go to another garden nearby to get to the lily of the valleys. Jean...Thanks for the nice comment. This is the only meadow rue I have growing, so I don't have a lot of experience with them. Ki... the meadow rue in the miniature garden is a little mound of leaves no taller than three inches, and the flowers add another inch so the whole plant is only four inches tall, if that. Kylee... 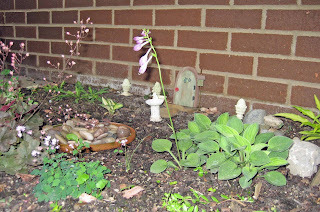 I'd love to see your little fairy garden on your blog! I hope the squirrels don't like your miniature garden as much as you do. A woman at work did much the same but called it a "fairy garden" (and you're the one with the fairies). She put out little miniature figurines and such among the plants and the next day they were all gone. A bird, a squirrel, who knows? Well, anyway, I think your miniature garden is charming. LostRoses... so far, no squirrels in my back yard. I am a tiny bit concerned about chipmunks.